The Box Music- Mobile Entertainment & Disco - Peterborough, England. Here at The Box Disco we believe in giving people the ultimate party experience using music and lights to suit their taste. We cater for all events large or small plus parties, wedding, proms, outdoor events and more. Clubbing nights are a speciality and we deliver the ultimate in the under 18's experience at venues across East Anglia. 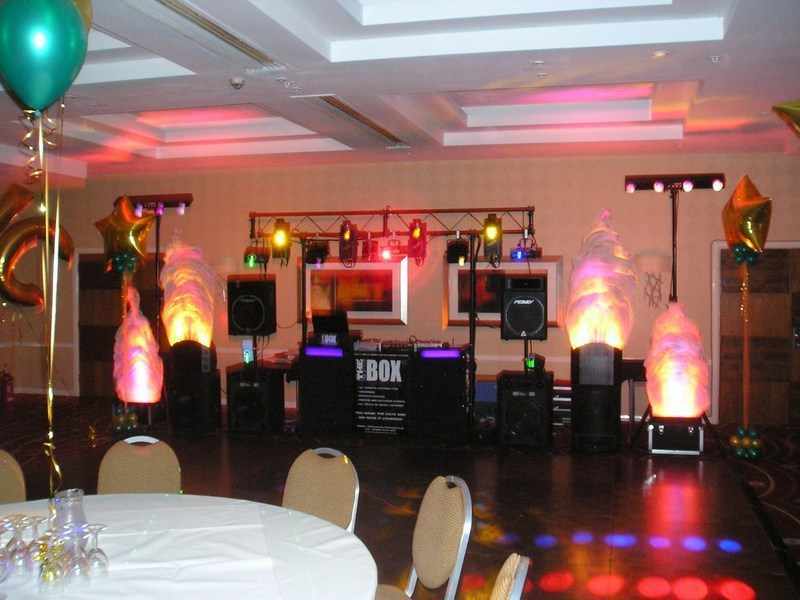 We have now added to the spectacular lighting show six foot flames and the option of a over head projector to project photos onto the dance floor in a 7ft x 7ft size, we find this very successful and enjoyable at birthday parties showing individuals from their younger years. Check out our gallery for photos and printable brochure. The Box Music. 17 Lincoln Road, Glinton, Peterborough. PE6 7JR. The Company specialise in Mobile Discos and Travelling Discotheques, for all kinds of function; including birthday parties, Disco, Wedding Receptions, Company Functions, Christmas Parties, Theme Nights, Marquee Events, Balls, Prom Nights, and Hotel Residencies throughout peterborough, cambridgeshire and east anglia.